Will You Want to Get WWE Video Download from YouTube? World Wrestling Entertainment (WWE) is a well-known professional wrestling company in the United States. As the world's largest professional wrestling company, WWE has held about 320 events in more than 150 countries around the world. Unlike other professional wrestling leagues, the WWE show is not a formal sports competition, but is purely entertainment-oriented, with storylines, scripts, and choreographed matches. There are now more than 500 events each year broadcasting in more than 150 countries. In 2014, WWE Network was launched as a subscription-based video streaming service for playing WWE live events and shows. Of course, some video-sharing sites such as YouTube will also share WWE videos. So, this tutorial aims to help you download WWE videos from YouTube, and then enjoy the highlights of WWE history on PC, mobile phones, iPad at anytime, anywhere. How to get WWE videos download from YouTube? An easy-to-use yet powerful YouTube downloader is a must. Free HD Video Converter Factory allows users to download YouTube videos with 3 steps. Try it out now! What Can WWE Videos Free Downloader Do for You? Free HD Video Converter Factory, is not only a well-received video converter, but also a popular YouTube downloader that allows you to download WWE videos from YouTube easily. No adware, no embedded software, this program can help you get WWE show download from the internet safely. Of course, if you are interested in football skills video, ESPN videos, Tamil movies, etc., you are also free to download. All in all, with this perfect video downloader, you can enjoy downloading videos and movies from YouTube. Free downloadFree download this WWE MP4 video downloader, then let's go into the detailed steps of how to get WWE video download from YouTube. How to Get WWE Video Download from YouTube Easily? 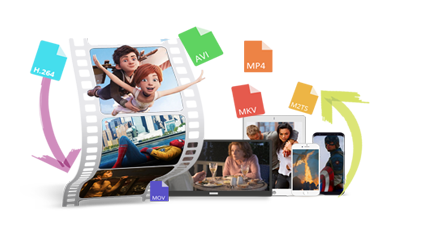 Firstly, download Free HD Video Converter FactoryFree HD Video Converter Factory and install it on your PC. Then, visit YouTube.com, search a wanted WWE video and copy its URL. Click on “Download Video” on the menu bar, a new window will pop up. Paste the WWE video URL into the box, and then click on “Analyze” button to analyze video information. After the video analysis is complete, select the video format and resolution you want (such as 1280x720 MP4). Finally, set the output path and click the “Download” button to finish WWE MP4 video download. Tips: When your memory is limited and the downloaded video size is large, you can use Free HD Video Converter Factory to help you compress the video. WonderFox does not advocate downloading copy-protected videos from YouTube for any commercial purpose. Please make sure your behavior is legal in your country! To ensure you stay up-to-date with all of WWE's signature events, check out the upcoming WWE events in 2018 schedule below. WWE has made a couple late changes to its schedule, so this list is always subject to change as we run through the end of the year. When you get the right WWE video downloader, whether you want to download WWE video from YouTube or ESPN, this will be a simple matter. 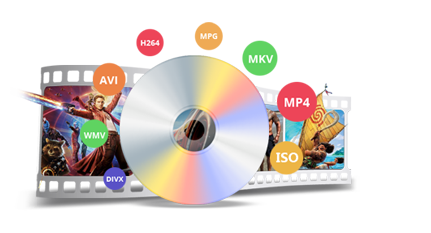 Download Free HD Video Converter Factory to start your work, more features waiting for your discovery! Download WWE videos from YouTube, ESPN, Facebook, and other video-sharing sites. Convert downloaded videos to your devices, such as iPhone X, Samsung Galaxy S9, Xbox One S, etc. Compress video size to reduce memory usage. Rip your purchased WWE DVDs to digital video for backup and better playback. Compress DVD video size to reduce memory usage. Simple editing of DVD video. Convert DVD videos to iPhone X, Samsung Galaxy S9, iPad, etc.